As government prepares for the autumn financial statement, its decision-making process is a clear yet difficult one: where to allocate scarce resources amongst competing demands. This is especially true when faced, it appears, with the ever greater likelihood of a hard Brexit. The delicate balancing act between immediate ‘quick wins’ from short-term gains and the longer-term principled approach to decision-making is never easy to achieve. Investing in future generations and in a manner consistent with adopted policy should together constitute the lodestar. In this context it is interesting to note that the pre-budget submission from Ibec proposes greater investment in higher education as a key priority. The Technological Higher Education Association (THEA), representing all 14 Institutes of Technology, supports the call of Ibec and other representative bodies to prioritise investment in higher education, specifically in the technological sector, which by its nature is significantly more reliant on exchequer funding than other HE sectors in Ireland. THEA’s pre-budget submission is focused on expanding sectoral capacity and with specific concentration on named and costed priorities. The four pillars identified in the document cover investment in digitization, a focus particularly on STEM education including the determination to increase female engagement in this crucial field, a more coordinated approach to supporting strategic leadership and operational capacity, and finally, conscious of our society’s responsibility under the internationally adopted sustainable development goals, we are proposing a particular emphasis on energy management and environmental sustainability in line with the KPIs in the National Mitigation Plan for Climate Change. The current Action Plan for Education 2018 sets out the aim to make the Irish Education and Training service the best in Europe by 2026. It is a courageous ambition oft-cited by both the Minister for Education and Skills, Richard Bruton TD, and the Minister for Higher Education, Mary Mitchell O’Connor TD. It signals the awareness that investment in our people, in the future generations, is key to our economic health and it presages the concomitant investment in higher education necessary to realize this determination. Our pre-budget submission is framed in this context and is fashioned to position the sector to make its contribution to the delivery of current government priorities as set out in a suite of interlocking policy papers. Key amongst these is the government’s plan, Project Ireland 2040, being the inclusive framework that outlines the pathway to the social, economic, and cultural infrastructure that will inform investment in the coming two decades. That overarching policy sets out a path toward expansion and consolidation of higher education facilities as a national objective and also the notion of Technology and Innovation Poles and recognizes that investment in the sector will support the very actors that are best placed to be the drivers of global-potential start-ups and growth enterprises in and across the regions. At an individual human level, it is this policy that can help determine the quality of life for our people and the learning experience of generations of students. This requires resources. THEA and its institutions will continue to contribute to the ongoing national debate around the funding of higher education. Peter Cassells chaired the expert working group that produced the relevant report over two years ago on the strategy for the future funding of the system. While attention has centred on the merits or otherwise of income-contingent loans, this is but one element in a report that, as its title proclaims, is about investment in national ambition. The report recognizes the hugely positive contribution of the higher education system to Ireland’s development in recent decades and in each of the three options set out in conclusion it records the need for greater central state investment if Ireland is to address the documented erosion experienced in our country’s competitiveness in higher education over the past decade. We join with our colleagues in Ibec and in the Irish Universities Association in calling for greater investment in higher education. The system as a whole has suffered in the lean years and our ability to continue to contribute has been acknowledged. However, our standing and reputation internationally is now threatened through the want of investment. 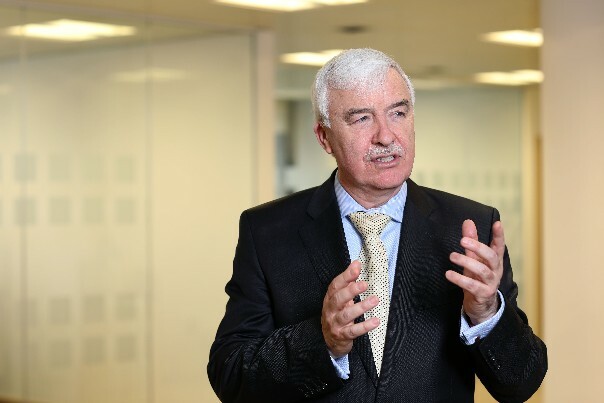 Last week saw the announcement of the designation of the first technological university comprising Dublin Institute of Technology, Institute of Technology Tallaght, and Institute of Technology Blanchardstown. In his address on the occasion, Taoiseach Leo Varadkar TD stated that the creation of technological universities is a recognition and validation of the quality of the technological education provided in Ireland over many decades. It is also a statement about the ambition of the sector for the future. Realizing multi-campus institutions of greater scale is necessary given the demographic trends in our society and the need for Ireland to regain competitive standing in what is likely to be a tougher trading environment. This is an exciting departure but it fosters expectations and poses challenges for the players involved. In particular it brings challenges to leaders and the staff of our institutions throughout the sector who have laboured quietly not only to maintain, but to enhance a system, through lean and difficult times to the point where they are now demonstrably satisfying the criteria laid out in the enabling legislation for the creation of technological universities; it poses questions also for our society and government which face the challenge of funding the sector to the extent that it can compete with the finest international exemplars while also responding appropriately to the policy demands made of the institutions. Targeted investment is now required if we are to give life to the stated belief of An Taoiseach when he spoke last week of the transformative effect that such institutions can have on the communities they serve.